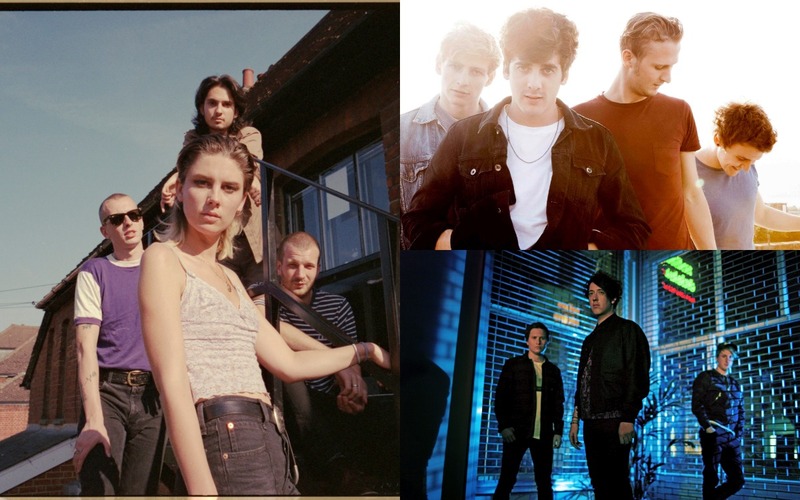 Hyping ourselves up for another year of gigs in Southampton, we take a look back at our favourite live performances in the city, and the venues that hosted them. Why? I went with all my best mates, to see a band that had been creeping their way onto all my Spotify playlists since 1st Year. It was my first time at the new venue, and seeing them outside of a festival setting, and it was even better than I could have imagined. The cosy closed-in gig feeling you get, that you might think would trap in such a festival sound like Circa, just made you feel like you were right on top of them, basking in the energy of their set. The venue was the perfect size, ‘cos it felt nice and intimate, but you could still, if you weren’t careful, lose people on the way back from the toilets. And it was exciting, going to a part of the city near the docks that was still part of the industrial unknown to us. They played a mixture of their old stuff and stuff from their very new album Different Creatures, which would come out about a month later as a new lease of life for the band. And of course they played ‘T-Shirt Weather’, and it was magic: every “it’s gonna be ok” was euphoric, the lyrics as simple as they are pleasurable to sing and shout out loud. Why? In case you didn’t know, Autumn 2017 was the time of The Edge‘s epidemic of Wolf Alice love – and, like all infected people, I ended up at their gig, where I realised the disease doesn’t have a cure. The foursome delivered a show akin to their music: a combination of ethereal and wild moments, interweaving their two albums, My Love is Cool and Visions of A Life in probably the most surreal 90 minutes of my life. Ellie Rowsell was undoubtedly the crown’s brightest jewel, with a vocal range that could go from soft falsettos to aggravated screams that somehow still sounded good, accompanied by the band’s enrapturing guitars. The highlight of the gig? Well, I think there’s video evidence of me shouting my heart out at ‘Planet Hunter’ and ‘Silk’, but their performance of ‘Don’t Delete the Kisses’ was the one that dazzled the senses more than the others. The Guildhall (packed to the brim yet still charming) was bathed in the light of a spinning glitter ball, which took Rowsell’s hypnotising performance of this poem of a song to a whole different level – who on Earth would have thought literally talking into a mic to a couple of guitars could ever sound so good? Why? If my first time seeing The Wombats taught me one thing, it was that few artists know how to put together a setlist quite like the Liverpudlian trio do. A sing-a-long affair from start to finish, The Wombats perfectly blended timeless bangers such as ‘Moving to New York’ with newer hits from latest album, Beautiful People Will Ruin Your Life, and boy did the crowd (myself included) belt out each and every one of those lyrics. The real highlight, however, was the total euphoria of hearing my favourite song, ‘Emoticons’, live for the first time. Given that this old favourite comes from band’s third album, ‘Glitterbug’, you can imagine my total jubilation when its opening riff was played – there aren’t many occasions where I’d be happy to leave with a sore throat, but this was certainly one of them. And that’s all without discussing the encapsulating feeling of the venue itself; with its charming, dirty spoons-style patterned carpet and endlessly high ceilings, the O2 Guildhall was the perfect venue to be immersed in such an inch-perfect indie setlist.